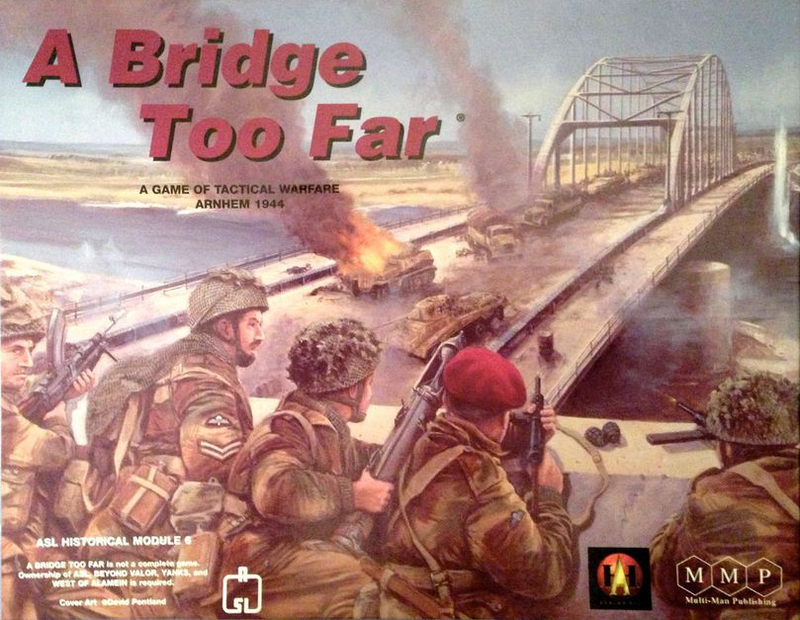 Historical Module for Advanced Squad Leader, recreating the struggle of British 1st Airborne Division to hold the bridge in Arnhem during the operation Market Garden. A historical-accurate mapsheet, 9 scenario campaign game. Advanced Squad Leader, Beyond Valor: ASL Module 1, Yanks: ASL Module 3, West of Alamein: ASL Module 5 or For King and Country: ASL module 5a required to play.